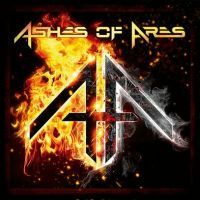 Prepare yourself for a powerful assault from Ashes of Ares as they have come out with an impressive self-titled debut album. The band is a dynamic mix of talent and experience in the form of Matt Barlow and Freddie Vidales (ex Iced Earth) and Van Williams (ex Nevermore). The trio has joined forces together after departing their respective bands and rightly so, as their album speaks volumes of their credibility. The sound is heavy and the songs are well-structured with some great riffs on them. It’s a refreshing heavy metal album with melodic leads combined with speed and aggression. It has a solid start with tracks like The Messenger and Move the Chains, especially the latter which has a brilliant opening riff. The next track On Warrior’s Wings brings in a change in tempo as it’s on the slower and harmonic side but sounds a bit one dimensional. What follows next continues to impress with a good mix of power and rhythm. This is my Hell is another track which is on the slower side and it compensates well for what Move the Chains lacks. With power flowing constantly on Punishment, Dead Man’s Plight and Chalice of Man there is no reason why this album shouldn’t be praised for its tightness. What I am and The One Eyed King serve as finishers to the album with their dynamic structures. There has to be a special mention of Barlow’s vocals since he is incredibly consistent and plays a big part in the overall execution of this album. Not to take any credit away from the rest of the band members who provide with a solid support to its firm foundation. The music is simple and doesn’t venture into anything overly technical which makes it even better. The band’s work is well produced and their collaboration is certainly a step in the right direction towards their promising future.